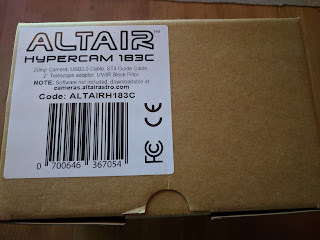 I am the proud owner of a brand new Altair Hypercam 183c astronomy camera. A purchase that I mulled over for several weeks after speaking to several people. This type of camera is quite new, and a bit different from more traditional astronomy cameras. So, how did I come to decide that I wanted one of these cameras? Well, as followers of my blog will know, my only option for astrophotography thus far has been my trusty un-modded Canon EOS 1100D. 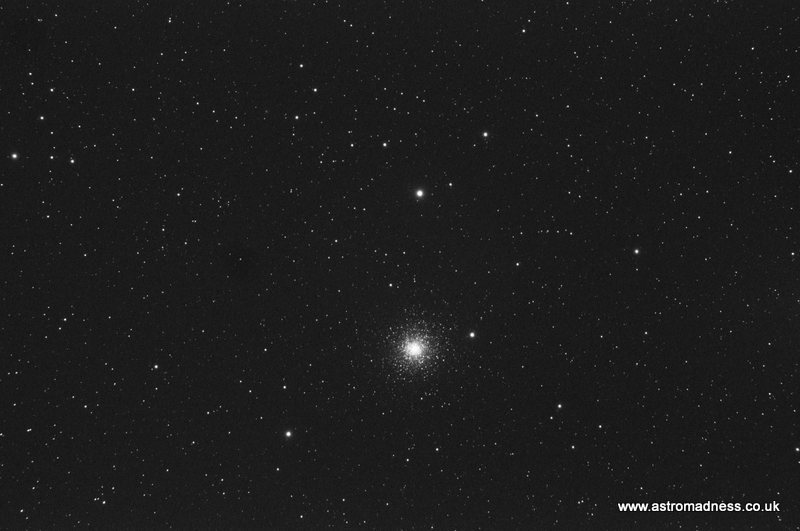 This has performed well for me and has given me a good taster of what astrophotography can give me. However, I started considering something modified for AP. At first, I gave some consideration to sending off my Canon for modification. But the problem with this is that I would lose the functionality it gave me as a perfectly usable DSLR camera. 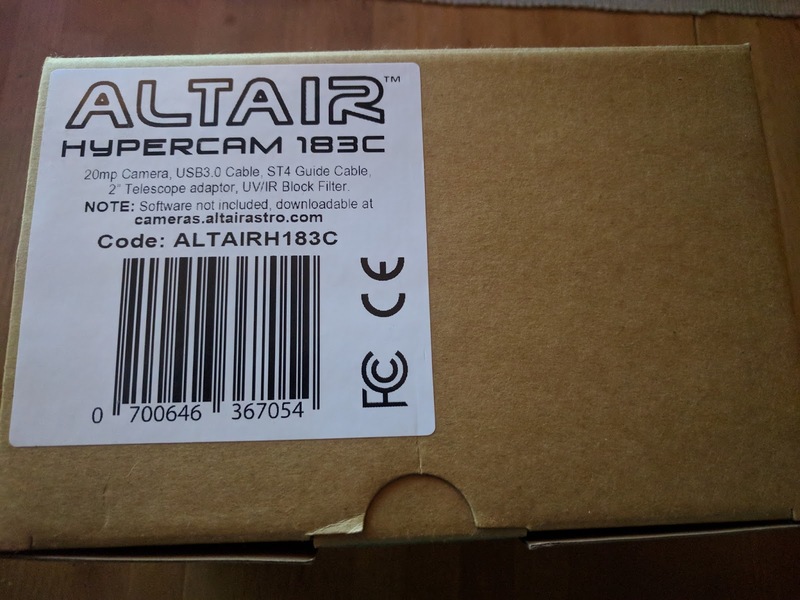 So, I considered a pre-modified DSLR body and found several companies online willing to sell me a brand new camera body, and carry out the modifications required before sending it to me. This is a popular option for many people and it serves their purposes well. Indeed, many people go through their whole AP hobby using purely a modified DSLR camera. The issue with this solution for me, is that even though the workmanship of carrying out the modification might be covered by a 12 month guarantee, as soon as the camera is opened up and the seals broken, the manufacturer's warranty is invalidated meaning that if something else were to go wrong with the cameras operation, I would have no easy of way of getting the problem rectified. A gamble that I was not entirely comfortable with. Then, I come across Altair. They have brought to market a purpose built 20mp astronomy camera carrying the pre-modified Sony CMOS chip which is often found in other cameras. The camera housing is built ready to accept a flattener or focal reducer, or any other sort of filter components you would want to attach. The camera also has its own fan to aid cooling of the chip during the long exposure photography that is required for DSO imaging. On top of all this, it comes in at the same price as a brand new DSLR camera body, but the difference being, you are buying from the manufacturer or authorised dealer with all the benefits that it brings. Once I found out about the camera, I was all too aware that these were new to market. I needed to find out more about them. I didn't want to fork out over £500 on something that would prove to be unsuitable. I followed posts by Gary Palmer (world renown solar and astrophotographer) and Trevor Jones (a popular Canadian astrophotographer who concentrates on using modified DSLR cameras.) Both of whom have taken some great images with the 183C. Of course, the one thing they have in abundance compared to me is experience! The more I read about the camera, the more I was convinced that this was the direction I should go in. 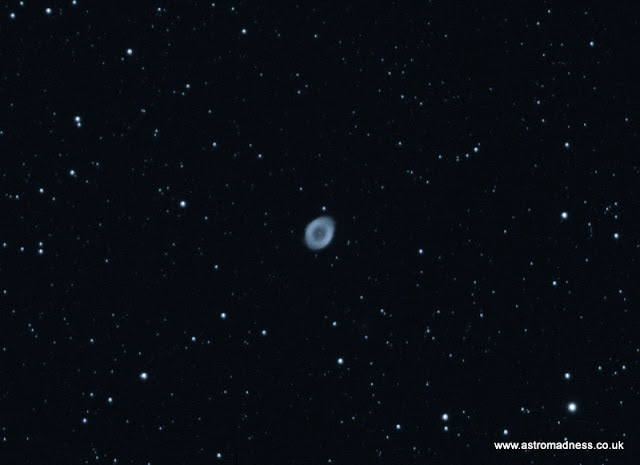 Before finally making the decision to take the plunge, I spoke to Neil at Tring Astronomy Centre while at North West Astro Fest. As far as he was concerned, the camera was proving to be incredibly popular such as the reputation it was building. So much so, they had a steady waiting list developing for these new cameras. When working with my DSLR, my capture software is Backyard EOS. A very well thought out and intuitive program that allows me full remote control of all my camera functionalities. However, this type of software can't be used with the Hypercam. Instead, there are several different pieces of software available to capture data from the camera. SharpCap is a popular option and is continually being worked on to take into account new drivers and new settings for new cameras. It also has a really cool polar alignment tool to use with my guide camera. AltairCapture is another piece of software very well supported and tested designed for using with Altair's cameras. 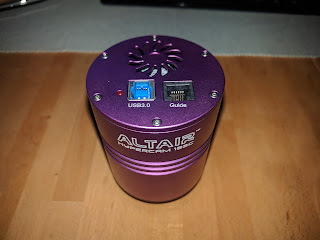 First impressions are that this is slightly more complex software to use when compared with SharpCap, but I'm in the process of still trying out both pieces of software to try and get some good results with the camera. These results were taken using the AltairCapture software. 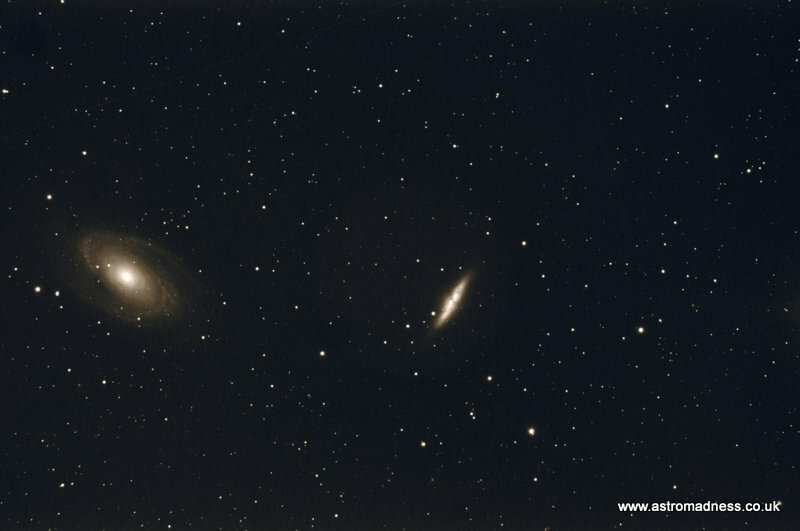 My first priority was to capture some recognisable images of DSO's, so I didn't concentrate too much on framing etc. What I was able to do is apply the same principles of capturing Light, Dark, Bias and Flat frames that I do with the DSLR camera, and then use the same Deep Sky Stacker software to stack all the frames. 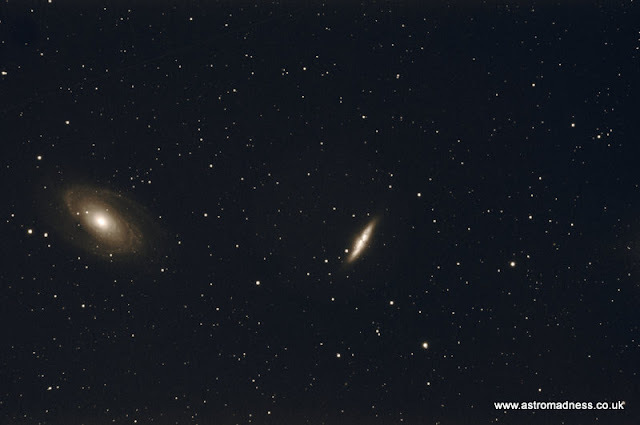 So, here are 4 images all taken on the night of Thursday 21st September. The images all had some light processing in Photoshop too. Gain was consistently set for all photos at 20 within AltairCapture. So, my initial results are quite pleasing. I am waiting for my next opportunity to get back out with the camera when I will take one of two options. I will either try photographing the same objects, but through SharpCap and compare the results, or, continue using AltairCapture, but explore more of the settings that are available. For some reason, the data I obtained using AltairCapture came out in black and white, though with adding false colour in Photoshop, I seemed to get some pretty good results. I'm going to continue looking on the web for new tutorials for people using either piece of software to learn a bit more. 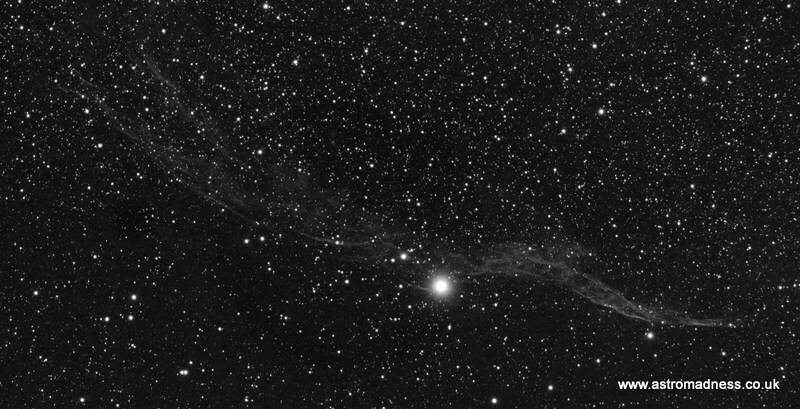 In the mean time, I have booked a place on an Astrophotography course on which I hope to learn more on these techniques. I'll be sure to post more results as and when I get them. Thanks for reading!